As the name suggests, Blue Bay is a perfect example of the stunning beaches and crystal-clear waters around the beautiful island of Mauritius. Luckily for anyone visiting, your holiday will get started quickly with a short transfer time. What are you waiting for? The wonders of the warm (blue) Indian Ocean await you! 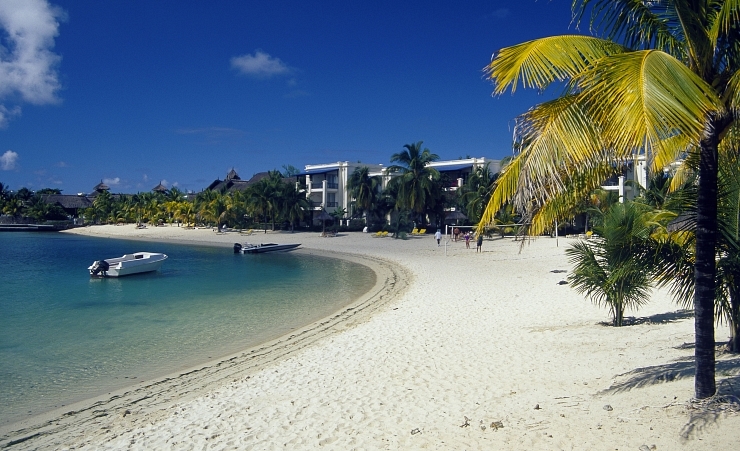 Mauritius is wonderfully warm all year round thanks to its tropical climate. With that being said, the coolest month is July with average temperatures in the mid-twenties whilst from November to January, you’ll experience temperatures over 30°C. We recommend going in October when it’s toasty and dry and avoiding January-March when the region experiences its highest rainfall. The Blue Bay Marine Park is a conservation zone where the fish and corals are protected. Taking a boat trip to enjoy the natural, untouched beauty is a must. There are also spas in the area where you can relax and indulge. Blue Bay’s beach is as beautiful as any on the island, with warm, white sand and shimmering clear waters. Whilst it is undoubtedly popular with tourists, many locals are also drawn to this magical spot. The beach has great facilities, with restrooms and showers on hand. For a quieter day on the white sand, take the short journey to Point D’Esny. The beach itself is well equipped with snack bars meaning there is no need to leave the shore for lunch. Come the evening, a short journey to neighbouring villages will find visitors spoiled for choice - whether it is pizza, fresh fish, traditional local cuisine, vegan or oriental cuisine, There is a great choice of restaurants to suit every palate. After a long day enjoying this beautiful resort, visitors may find they’re happy to enjoy a sunset drink without venturing too far. To carry the day and evening into the night, the trip east to Mahebourg will offer a wider choice of bars. The market at Mahebourg is an opportunity to sample the local culture and is well worth a visit. The island still has a rich fishing culture and this can be seen and enjoyed with a trip to one of the many fishing villages. 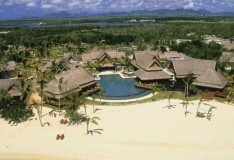 Unsurprisingly, given its reputation as one of the prime beaches in Mauritius, Blue Bay offers a wide selection of water-based activities. Canoeing, water skiing, sailing, speed boat rides, paddle boarding and, of course, scuba diving are all readily available. The shallow, clear waters and reefs make exploring the seas a must. Hiring a moped is a popular choice, but there are also plenty of taxis here. The buses, though, are cheap and plentiful. The island, despite its relatively small size, boasts 900 bus stops. This gives visitors a wonderful opportunity to not just explore the island, but also to meet locals. Why holiday in Blue Bay?